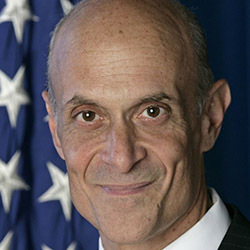 Mike Chertoff was U.S. Secretary of Homeland Security from 2005 to 2009. There, he worked to strengthen U.S. borders, provide intelligence analysis, and protect infrastructure. He increased the Department’s focus on preparedness ahead of disasters, and implemented enhanced security at airports and borders. Following Hurricane Katrina, Chertoff helped to transform FEMA (Federal Emergency Management Agency) into an effective organization. He also served as a judge on the U.S. Court of Appeals Judge from 2003–05. He co-founded the Chertoff Group, a risk-management and security consulting company, and works as senior of counsel at the Washington, DC law firm Covington & Burling. 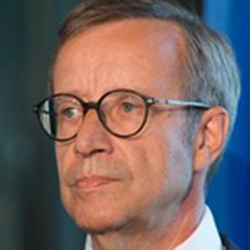 Toomas Hendrik Ilves was elected president of the Republic of Estonia in 2006 and in 2011. During his presidency, Ilves was appointed to serve in several high positions in the field of information and communication technology in the European Union. He previously served as minister of foreign affairs and as the ambassador of the Republic of Estonia to the United States and Canada in Washington. Ilves was also a member of the Estonian Parliament, as well as a member of the European Parliament, where he was vice president of the Foreign Affairs Committee. He now co-chairs the World Economic Forum working group The Global Futures Council on Blockchain Technology. He is currently a distinguished visiting fellow at the Hoover Institution at Stanford University. 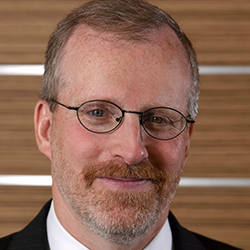 David J. Kramer joined Florida International University’s Steven J. Green School of International and Public Affairs as a senior fellow in the Vaclav Havel Program for Human Rights and Diplomacy in May 2017. Before moving to Miami, Kramer had worked in Washington, DC for 24 years, most recently as senior director for Human Rights and Democracy with The McCain Institute for International Leadership. Before that, he served for four years as president of Freedom House. Prior to that, he was a senior transatlantic fellow at The German Marshall Fund of the United States. Kramer served eight years in the U.S. Department of State during the George W. Bush administration, including as assistant secretary of state for Democracy, Human Rights, and Labor; deputy assistant secretary of state for European and Eurasian Affairs; professional staff member in the Secretary’s Office of Policy Planning; and senior advisor to the undersecretary for Global Affairs. 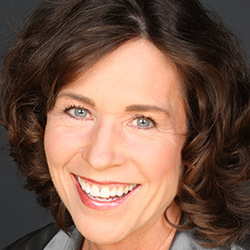 Kramer is a member of the board of directors of the Halifax International Security Forum and a member of the advisory council for the George W. Bush Presidential Center’s Human Freedom Project. 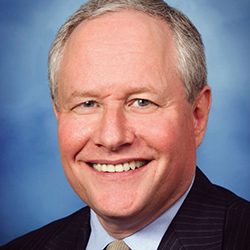 William Kristol is the editor at large of the influential political journal, The Weekly Standard. Before starting that magazine in 1995, Kristol served in government, first as chief of staff to Secretary of Education William Bennett during the Reagan administration, and then as chief of staff to Vice President Dan Quayle in the George H. W. Bush administration. Kristol has also served on the board of the Project for the New American Century (1997–2005) and the Foreign Policy Initiative (2009–17). Before coming to Washington in 1985, Kristol taught government at the University of Pennsylvania and Harvard University. 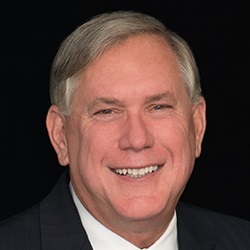 Rick Ledgett has four decades of experience in intelligence, cybersecurity, and cyber operations, including 29 years with the National Security Agency where he served as deputy director from January 2014 until his retirement in April 2017. In that capacity he was responsible for providing foreign intelligence and protecting the nation’s most important national security-related networks. Rick is a senior visiting fellow at The MITRE Corporation, a director on the Board of M&T Bank, serves as a trustee on the Board of the Institute for Defense Analyses, and is a member of several corporate advisory boards. 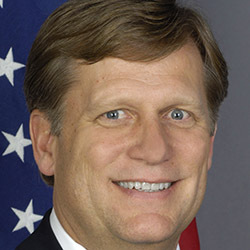 Michael McFaul served for five years in the Obama administration, first as special assistant to the president and senior director for Russian and Eurasian Affairs at the National Security Council at the White House from 2009 to 2012, and then as U.S. ambassador to the Russian Federation from 2012–14. He is currently professor of political science, director, and senior fellow at the Freeman Spogli Institute for International Studies, and the Peter and Helen Bing senior fellow at the Hoover Institution. He joined the Stanford faculty in 1995. He is also an analyst for NBC News and a contributing columnist to The Washington Post. Ana Palacio is an international lawyer specializing in international and European Union law. Ms. Palacio is a Member of the Council of State of Spain and is the Founding Partner of the law and public affairs firm Palacio y Asociados. Between 1994 and 2002, Ms. Palacio was a Member of the European Parliament, where she chaired the Legal Affairs and Internal Market Committee as well as the Citizens Rights, Justice and Home Affairs Committee. She participated as member of the Presidium of the Convention for the Future of Europe (2001-2003) in the debate and drafting of the European Constitution. In 2002, Ms. Palacio became the first woman to serve as Foreign Affairs Minister of Spain (2002-2004). She was a Member of the Spanish Parliament (2004 to 2006), where she chaired the Joint Committee of the Two Houses for European Union Affairs. 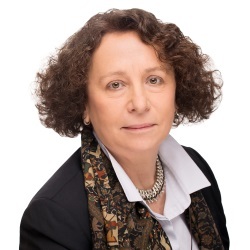 She has been Senior Vice-President and General Counsel of the World Bank Group and Secretary General of ICSID (2006-2008), and she has been a member of the Executive Committee and Senior Vice-President for International Affairs of AREVA (2008-2009). She is a member of the Board of Enagás (Spanish gas system), Pharmamar (biotechnology), and AEE Power (energy infrastructure). She is a member of the International Advisory Boards of Investcorp (a world-leading manager of alternative investments) and Office Chérifien des Phosphates – OCP – (fertilizers); and of the Governing Council of the Instituto de Empresa (business school). She is a member of the Board as well as of the Executive Committee of the Atlantic Council of the United States. Further, Ms. Palacio serves as member of the External Advisory Board of the US former Secretary of Energy Ernest Moniz’s Energy Futures Initiative, of the Advisory Board of the Sandra Day O’Connor Justice Prize and of the Board of Trustees of the Institute for Human Sciences. She has recently been appointed as member of the Global Leadership Foundation. Ms. Palacio publishes regularly in periodicals and journals. In particular, she maintains a monthly column at Project Syndicate. She is a visiting professor at the Edmund E. Walsh School of Foreign Service at Georgetown University. She is also a recurrent participant and speaker at international conferences and fora, most recently giving evidence on post-Brexit foreign and defense cooperation before the UK House of Lords’ European Union External Affairs Sub-Committee. In 2016, Ms. Palacio was presented with the Sandra Day O’Connor Justice Prize for extraordinary contributions to the rule of law, justice and human rights by the O’Connor School of Law at Arizona State University, and was awarded the insignia of Officier of the Order of the Legion of Honor of the French Republic. 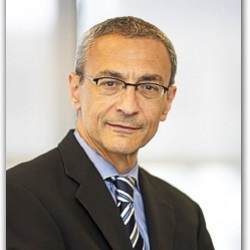 John Podesta served as Chair of Hillary for America. Prior to joining Hillary Clinton’s campaign he served as Counselor to President Barack Obama. 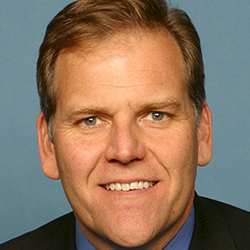 Mike Rogers is a former member of Congress, officer in the Army, and FBI special agent. In the U.S. House he chaired the Intelligence Committee, becoming a leader on cybersecurity and national security policy, and overseeing the 17 intelligence agencies’ $70 billion budget. Today Mike is a CNN national security commentator, and hosts and produces CNN’s “Declassified.” He serves as Chief Security Adviser to AT&T, sits on the board of IronNet Cybersecurity and MITRE Corporation, and advises Next Century Corporation and Trident Capital. He is Distinguished Fellow and Trustee at Center for the Study of the Presidency and Congress, and a Senior Fellow at the Belfer Center at Harvard University. 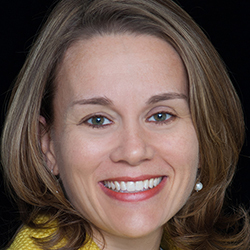 Kori Schake has served in various policy roles including at the White House for the National Security Council, at the Department of Defense for the Office of the Secretary and Joint Chiefs of Staff, and at the State Department for the Policy Planning Staff. During the 2008 presidential election, she was senior policy advisor on the McCain–Palin campaign. She is now a research fellow at the Hoover Institution. She is the editor, with Jim Mattis, of the book Warriors and Citizens: American Views of Our Military. She teaches at Stanford, is a contributing editor covering national security and international affairs at The Atlantic, columnist for Foreign Policy magazine, and a contributor to War on the Rocks. Julianne “Julie” Smith served as the deputy national security advisor to the U.S. vice president from 2012 to 2013, acting national security advisor to the vice president in 2013, and principal director for European and NATO policy in the Office of the Secretary of Defense in the Pentagon. 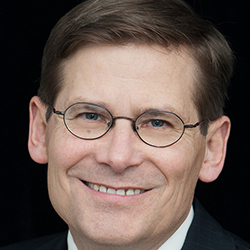 Smith is currently senior fellow and director of the Transatlantic Security Program at the Center for a New American Security. 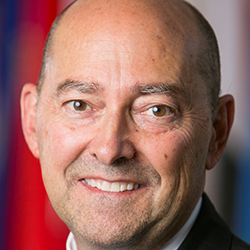 Admiral James Stavridis, U.S. Navy (Ret.) served as commander of European Command and as Supreme Allied Commander, Europe from 2009 to 2013. He commanded U.S. Southern Command in Miami from 2006–09 and commanded Enterprise Carrier Strike Group, conducting combat operations in the Arabian Gulf in support of both Operation Iraqi Freedom and Operation Enduring Freedom from 2002–04. He was a strategic and long-range planner on the staffs of the Chief of Naval Operations and the Chairman of the Joint Chiefs of Staff. He has also served as the executive assistant to the secretary of the navy and as senior military assistant to the secretary of defense. He is now dean of the Fletcher School of Law and Diplomacy, Tufts University, and chairman of the U.S. Naval Institute board of directors. 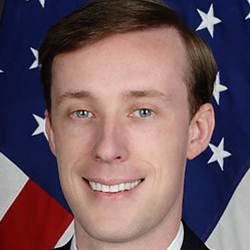 Jake Sullivan served in the Obama administration as national security advisor to Vice President Joe Biden and director of Policy Planning at the U.S. Department of State, as well as deputy chief of staff to Secretary of State Hillary Clinton. He was the senior policy advisor on Secretary Clinton’s 2016 presidential campaign. He is now a senior fellow at the Carnegie Endowment for International Peace and Martin R. Flug visiting lecturer in law at Yale Law School. 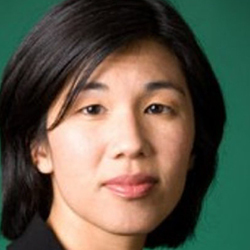 Nicole Wong served as deputy U.S. chief technology officer in the Obama administration, where she focused on internet, privacy, and innovation policy. Prior to her time in government, Nicole was Google’s vice president and deputy general counsel, and Twitter’s legal director for products. She frequently speaks on issues related to law and technology. Nicole chairs the board of Friends of Global Voices, a nonprofit organization dedicated to supporting citizen and online media projects globally. She also sits on the boards of WITNESS, an organization supporting the use of video to advance human rights, and the Mozilla Foundation, which promotes open internet. Nicole currently serves as an advisor to the School of Information at the University of California, Berkeley, Harvard Business School Digital Initiative, the Democratic National Committee Cybersecurity advisory board, Refactor Capital, and the Albright Stonebridge Group.